For those of you that like the classics, the Negroni is something you can find on most bar menus these days, thanks to the resurgence of a desire for classic craft cocktails. 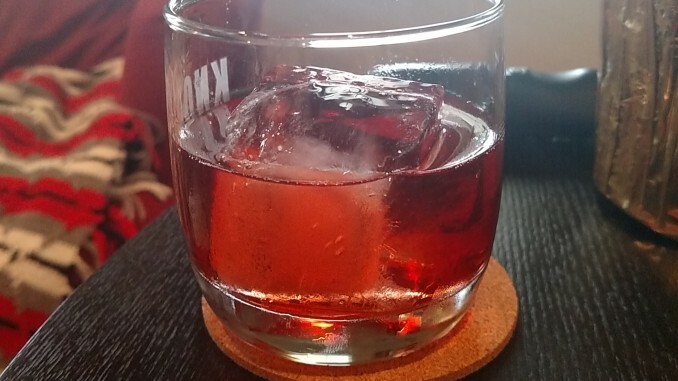 If, however, you’re like me and you’re not a terribly large fan of Gin, you have another option – The Boulevardier. I’m a big whisky guy, with Bourbon and, more recently, Rye being my go-to liquors of choice. I’m also a fan of classic cocktails like the Old Fashioned, which is why I like this variation on the classic Negroni. I also like to add a little bit of Orange Bitters (2 dashes at most) to help balance the flavors a bit more, but it’s not necessary for the cocktail. Add the ingredients to a mixing pitcher or cocktail tin filled with ice and stir the mixture to chill it. Strain into a glass with either a single large ice cube or, if you prefer and you get the cocktail cool enough for your liking, no ice at all. If you want to go full bar presentation style, hit the cocktail with an orange twist (flame it if you really want to add another layer), but if you’re like me, you’re unlikely to do that at home. The Sweet Vermouth and Campari do a nice job of balancing each other, and the subtle sweetness of the Bourbon will provide a nice body to the cocktail that can otherwise be quite crisp when using Gin. This is easily one of my favorite cocktails, and one I happen to drink at home a lot because of how easy it is to make, how few ingredients it requires, and, most importantly, because of how good it tastes. If you’ve never had one I highly recommend it – you won’t be disappointed.